Norcal Hobbies hosted the 2011 Annual Offroad Kings race as a nationals warm up event. The event went off without a hitch and proved to have some great racing battles. 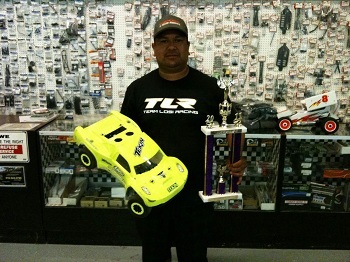 Phil Atondo took his Tekin powered Losi Ten Scte to the overall Tq in the Pro 4 SCT class. Phil went out to easily take A1 and A2 by nearly a lap each round! Proving once again the Pro 4 is in a class of it’s own! 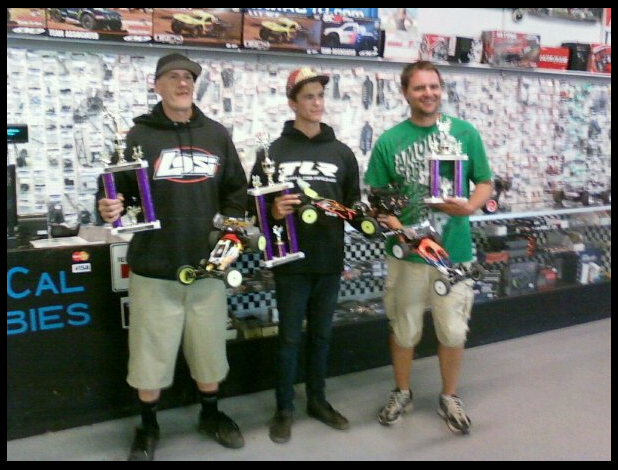 Jacob Haas having just signed with Tekin days prior to the event took his Tekin powered TLR 22 to a Tq and overall win in the Open 2wd Mod buggy class. Jacob used a Tekin RS Pro and 10.5 Redline to take the win. 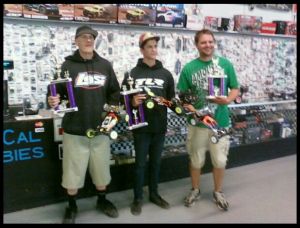 Shon Wilcox taking 2nd overall with his Tekin powered TLR 22 as well.